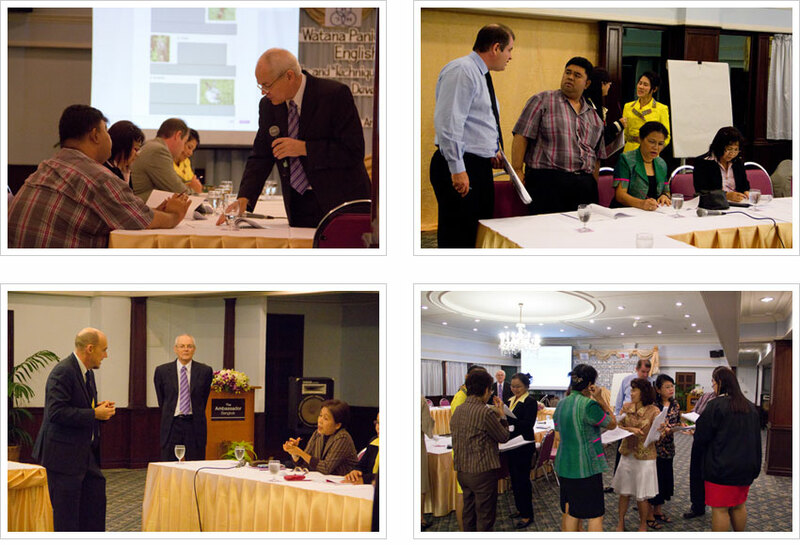 In collaboration with McGraw-Hill, TWP has held a teacher development workshop on February 7, 2013 at Ambassador Hotel, Bangkok, Thailand. The workshop session was facilitated by an expert in the filed, Mr. Tony Harden from McGraw-Hill. The objective of this workshop is to empower teachers with a variety of effective English teaching techniques to develop their students in preparing for ASEAN Economic Community (AEC). As Thailand will become one of the AEC members in 2015, it is necessary to prepare educational personnel to be ready in all aspects in order to develop Thai youth to have the ability to communicate in English, which is the official language of the ASEAN Community. This workshop allows teachers to acquire essential knowledge of teaching English from field experts, and also gives them an opportunity to exchange their teaching techniques among each other.